This light features 360 degrees of shadow-free illumination from high-luminance LEDs in a high-density arrangement. 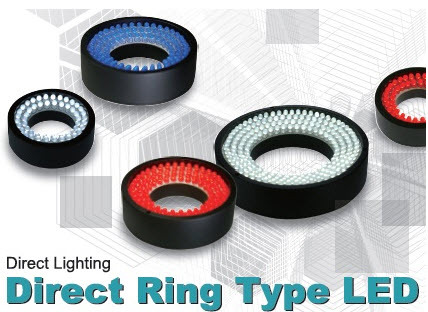 This allows for LED lighting of a wide range of applications. These include positioning of substrates and printed boards, inspection of chip components, liquid crystal adjustment, and inspection of plastic containers and labels. The angle of the lights (30 degrees) is flatter than the Low Angle Ring-type (60 degrees), illuminating almost vertically upon the target. 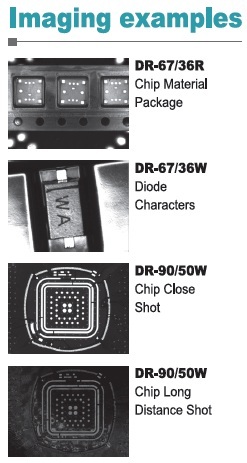 DR-70/35 models illuminate at a completely vertical angle, perpendicular to the object.